Searching through the Games category on the App Store and on Google Play, we found one of the most pleasing and most entertaining games, called Fast Reacta. This simple, yet fun game got our whole office addicted and we still can’t stop playing it. 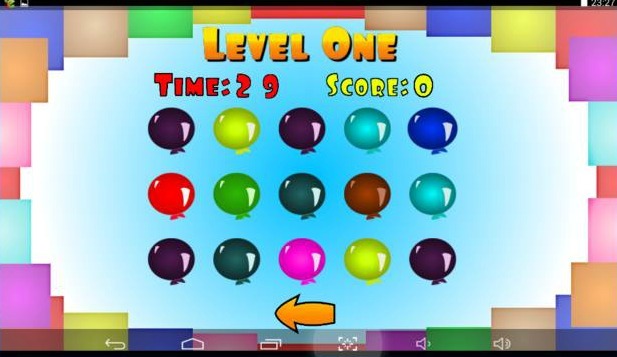 Developed by Refrolics Apps, a small indie mobile app development company, this gaming app has very well picked colors and backgrounds, friendly user interface and very cool gameplay. To see what we are talking about you must download it immediately. At first you may think it is easy to play, but it is harder than it looks like. All you have to do is pop the balloon as many times you can within 30 seconds. Note that the grid changes randomly every time you finish popping the balloon, so you will have to re-find it and re-pop it. Sounds quite challenging, right? You can also change the color of the balloon and pick your favorite one. If you somehow get stuck you can purchase a level target decrease, which will decrease the desired target for that level by 10, enabling you to progress through the game quicker. Challenging your eye-to-finger coordination and show your popping skills by downloading Fast Reacta for free from Google Play or from the App Store.